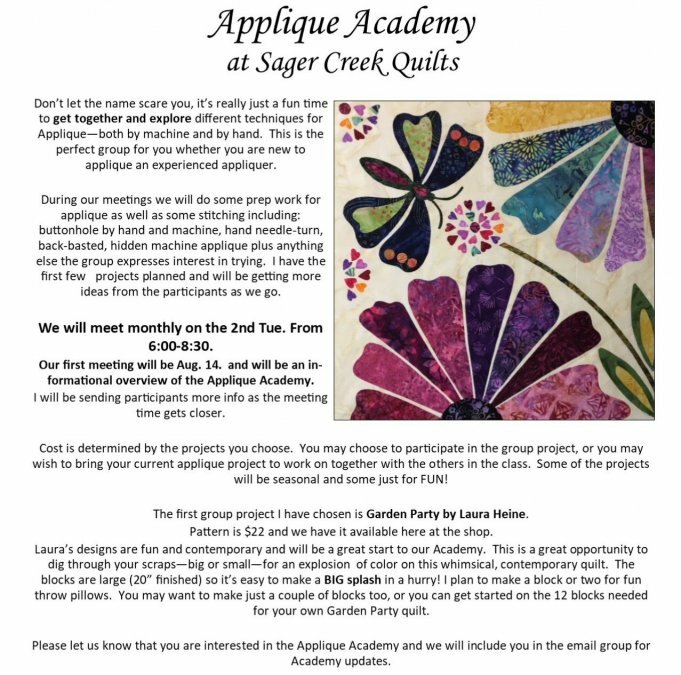 We have received such positive response to our notice about our Applique Academy that we are splitting the class! Remember this is a monthly academy meeting. I am including the basic info below, just in case you need to see it again. Many of you have already picked up your Garden Party pattern but we still have more. You can pick it up at the first class or stop by and pick it up early if you like. Please let us know which class time will suit your needs best even if you have already signed up. Our popular BlockBuster class series will be repeated beginning in September. 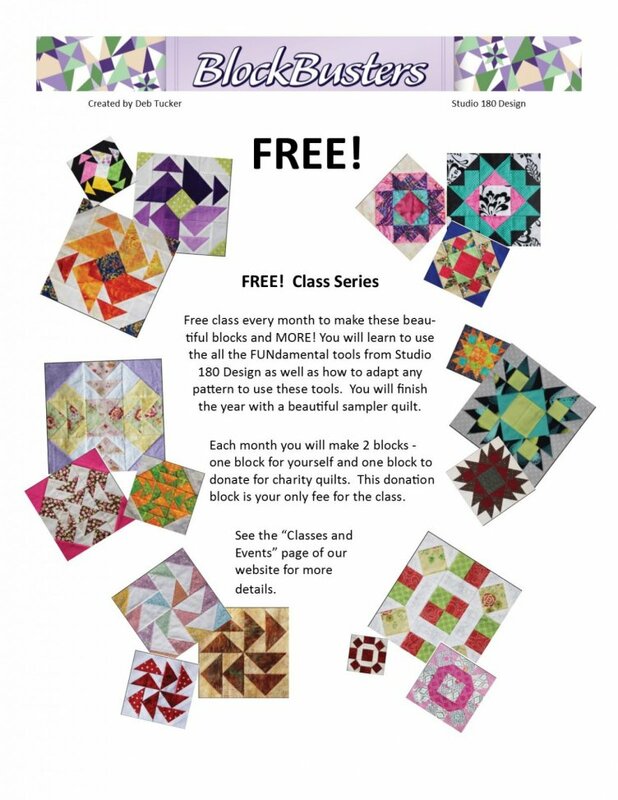 This is a 15 month class series concentrating on achieving precision in piecing.